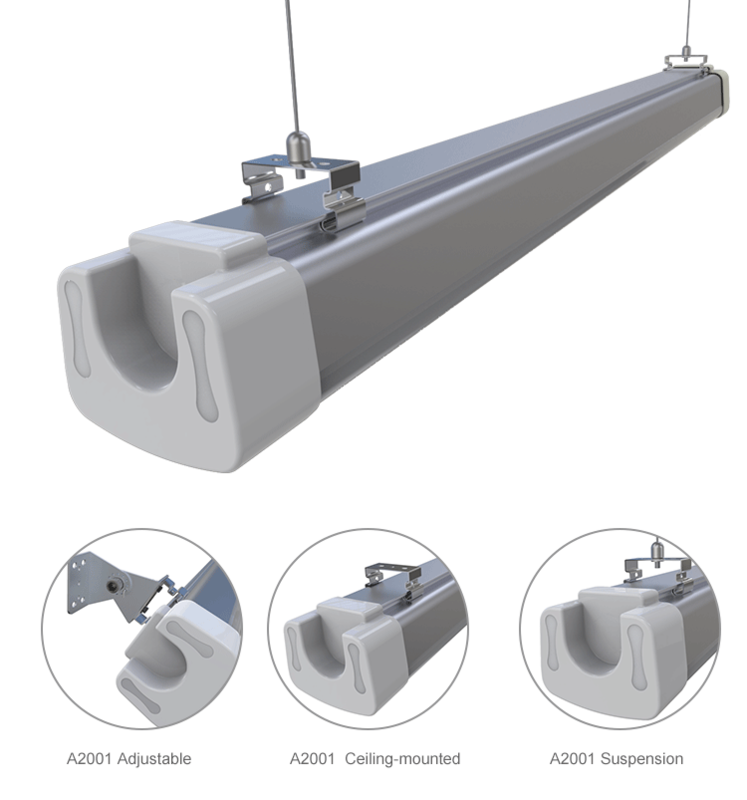 A2001 LED Tri-Proof Lights are simple structured and elegant designed, using aluminum profiles to reduce weight. Two sets of installation provide customer convenience, improve light utilization. Get all customers' recognition and acceptance with its functional features. Widely used in Industrial & Warehouse, Distribution, Gymnasiums, Education, Healthcare, Auto Dealership and Public Places. ● Fast and easy installation to replace existing Tri-proof light. ● Up to 80% energy saving compared to metal halide lamp ● Lower maintenance cost thanks to over 3times longer lifetime. Factory, Warehouse, Bus Station, Garage, Gym, Airport, Badminton Court, Basketball Court & hall, Supermarket etc.